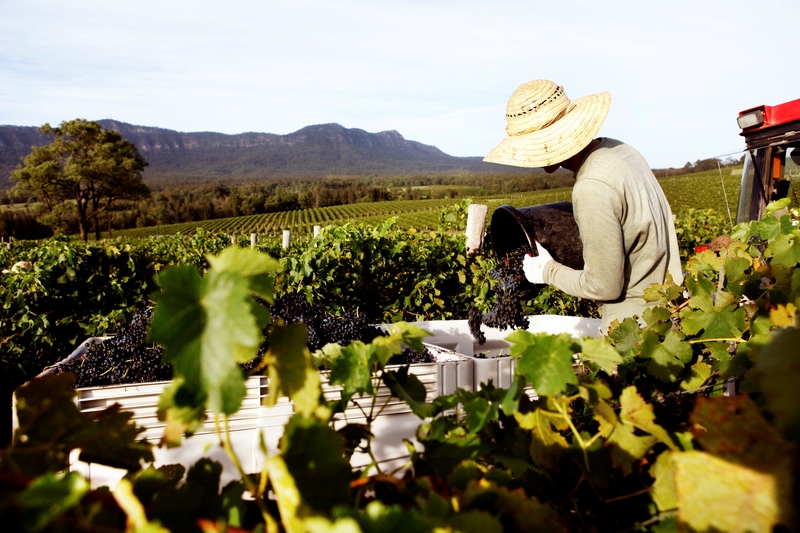 Yep, it's the most exciting time to visit the Hunter Valley as winery crews start harvesting grapes for the 2019 vintage. They start picking grapes for white wines first – several have already harvested Verdelho – before moving onto the red varieties. For behind-the-scenes footage of all the vintage action follow #v19 or #vintage2019 on social media. ​2. Shots are being fired. But there's no need to be gun shy. Birds enjoy the taste of ripening grapes and some winemakers protect their grapes with netting, mirror disco balls and shiny old CDs, while others use blasts from gas guns to scare flocks of birds away from the vineyards. The bird bangers help protect the crops during harvest. ​3. There are new things you should see. Brokenwood Wines opened a new, massive 1400-square-metre cellar door in December that's turning heads. It's uber chic with circular tasting bars (or pods as they like to call them) a wine museum, outdoor terrace, and two eateries run by The Cellar Restaurant's Andrew and Janet Wright. Glandore Estate Wines is also sporting a new look with a ritzy refurb that includes some eye-catching artworks and new experiences. There's a new lounge with a Coravin wine pouring system so you can sample vintage and special release wines, as well as chocolate or cheese and wine experiences with hand-crafted chocolates by Adora. ​Pepper Tree Wines offers another new experience – they've revamped the former Contango Cafe and turned it into an exclusive tasting room where you can sample rare museum wines and super premium single vineyard wines while snacking on cheese and olives.